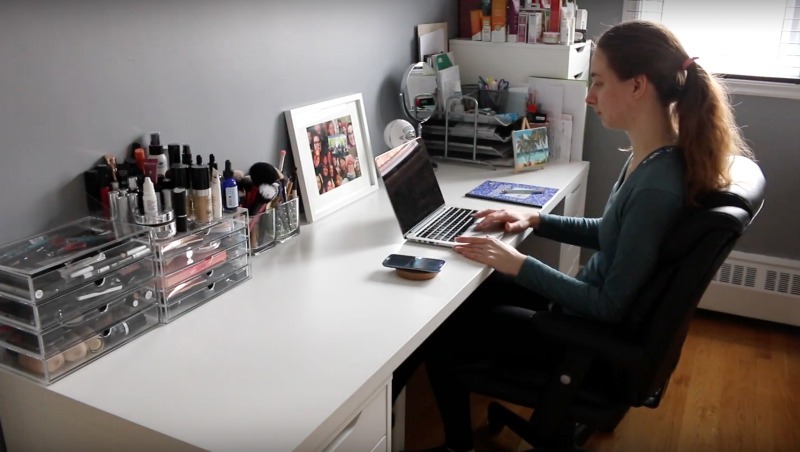 One of my favourite things to watch are Get Ready With Me videos - catching a glimpse into someone's everyday life has always been fascinating to me. I am pretty much a creature of habit and enjoy having a set routine, although I will switch things up depending on the season, such as the products I use, food I eat and exercise I do. I have shared quite a few Get Ready With Me videos, however they have typically revolved around makeup, so this time around I wanted to film a more comprehensive video where I show you my actual morning routine where I share my breakfast, skincare routine and other rituals I do to get me ready for the day ahead. This post is in partnership with Yves Rocher*, and I'm excited to share what skincare products I have been enjoying from the brand. 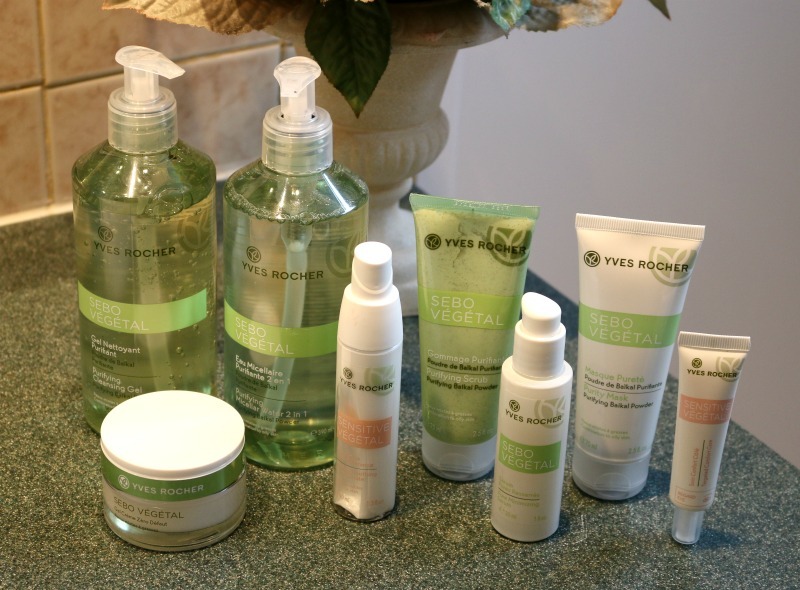 Keep reading to find out how you can win an Yves Rocher skincare regimen of your own! As some of you might already, I am plant-based which means I do not eat any animal or animal-derived foods, which has greatly improved my skin ever since I made the switch almost three years ago. I used to consume a lot of meat and dairy and cutting these out of my diet has significantly reduced inflammation in my body, especially in my skin. Now I don't know about you, but I am always super thirsty when I wake up, so the first thing I do is head to my kitchen and prepare what I call my "morning glory beautifying drink" - a little spin on the plain old lemon water. I will take a large beer mug and fill it halfway with orange juice (with pulp) and then fill it up with filtered water (more on what I use to filter my tap water here). To that, I will add a cap-full of organic apple cider vinegar (this works wonders for digestion) and squeeze in the juice of half of a small lemon (this particular citrus has detoxifying properties such as balancing the pH levels in the body and it also helps clear the skin)! I also take my supplements with my morning drink: I add half a teaspoon of MSM Powder (Methyl-Sulfonyl-Methane) - not only is it great for those who deal with arthritis and joint pain as it reduces inflammation, but it also promotes healthy skin, hair and nails. MSM is actually an organic sulfur compound naturally derived from the rain cycle and has been shown to be an essential nutrient for collagen and keratin production. Mixing it in with a source of vitamin C as I do with orange and lemon juice will provide the best results and also mask the bitter aftertaste. I also take a vegan Vitamin D3 supplement and Vitamin B12 Methylcobalamin sublingual tablet with my drink, too. I am one of those people who needs to have breakfast to get my energy up after waking up, and oatmeal has been a long-time favourite of mine. Oats are high in fiber which translates to not only better digestion but also clearer skin! 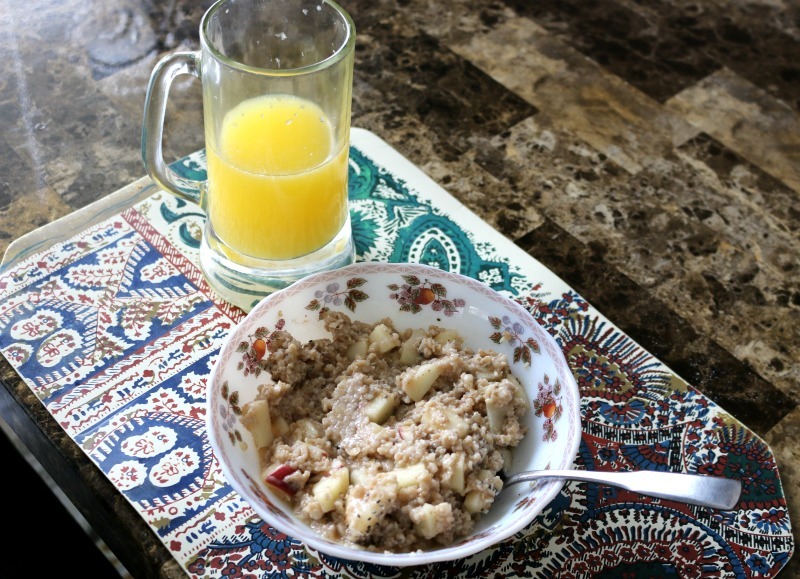 I've recently been loving apple cinnamon oatmeal, to which I also add a pinch of nutmeg, a splash of maple syrup as well as a sprinkle of chia seeds and coconut shreds for added quality protein, antioxidants, omega 3s and fat. I will typically have a large bowl - I don't count calories but eat intuitively - so if I don't finish it all in one sitting I will save it for later. A wholesome, hearty breakfast is the way to go! 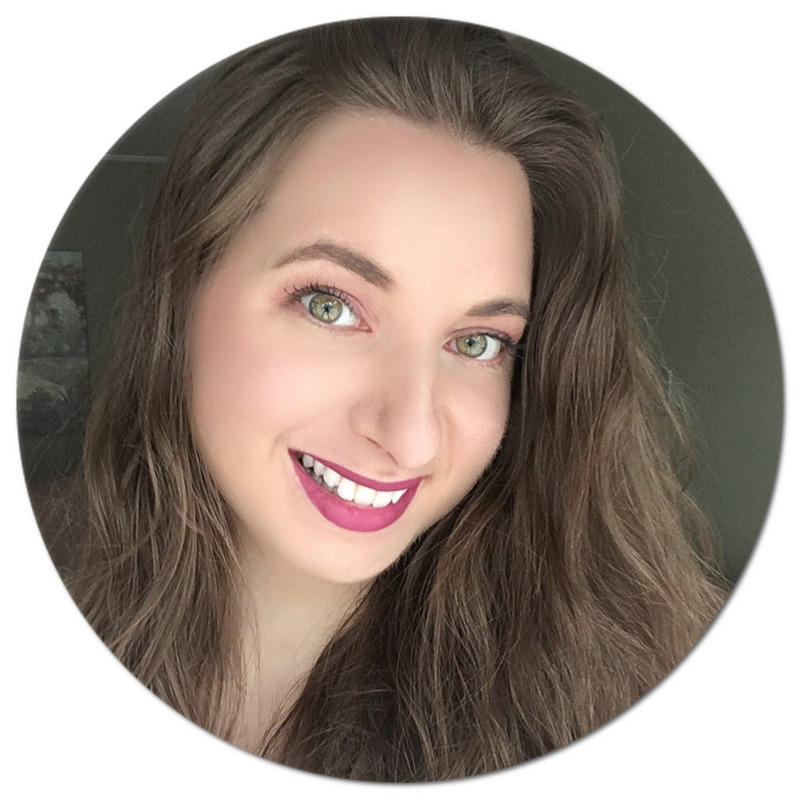 As a beauty blogger, I have the opportunity to try quite a bit of makeup and skincare. The most recent skincare to have made its way into my routine is from Yves Rocher and includes products from two of their lines: Sebo Végétal and Sensitive Végétal which are suitable for my combination, sensitive and acne-prone skin. The Sebo Végétal line's key ingredient is Baikal powder which works to mattify the skin by removing excess sebum while tightening pores. It's a great line if you deal with acne as I do. The Sensitive Végétal line is suitable for those who have reactive skin prone to redness. It is enriched with Sigesbeckia leaf which is very gentle and soothing on the skin. This particular line is void of preservatives, perfumes, colourants and mineral oil, making skin less prone to irritation. In the morning, I will start off by washing my face with either the Sebo Végétal Purifying Cleansing Gel or Sensitive Végétal Soothing Micellar Water 2 in 1. On this filming day, I opted for the cleansing gel: it contains 93% natural ingredients and removes impurities that have built up overnight. It gently lathers and leaves my skin feeling cool and refreshed. I will usually go for the micellar water at night since it works great to remove makeup and tones the skin without causing irritation. The Sebo Végétal Purifying Scrub and Sebo Végétal Purity Mask I only use twice a week as a skin boost. The former is a gentle exfoliator that works to remove dead skin cells and reveal a more even skin tone while still being non-abrasive, making this product suitable for sensitive, acne-prone skin. The latter I will use right after: this mask is kaolin clay based - one of my absolute favourite detoxifying topical ingredients. I will apply a thin layer on my forehead, nose, cheeks and chin and leave it on for roughly 5 minutes or until almost dry and then give my face a good rinse and pat dry before moving on to the next step. To moisturize, depending on how my skin is feeling and looking that day, I will reach for either the Sebo Végétal Zero Blemish Gel Cream or the Sensitive Végétal Intense Soothing Concentrate. Since I was dealing with a few breakouts that morning I went for the former. This moisturizer comes in a jar and I love that it targets acne by removing excess oil but does not dry out my skin like many other acne treatments I have tried in the past. The latter comes in an airless pack and is free of irritation-causing ingredients such as parabens and perfume to ensure tolerance for even the most sensitive skin. I will also apply the Sensitive Végétal Targeted Comfort Care - Eyes on my eye contour area. This also has a gel cream texture allowing it to absorb quickly while leaving skin soothed and protected. I've been trying to make a habit of taking 10 minutes in the morning for a little quiet time before getting on with my day. I roll out my beautiful new Gaiam premium capri yoga mat (thanks Yves Rocher!) and sit in silence for a couple of minutes to become mindful of my breathing and make anxious thoughts go away. I will then do some light stretches and poses to get the energy flowing throughout my body. I do not "practice" yoga per se, but it is something I am trying to ease myself into so I am taking small steps to get there. I will sometimes listen to a meditation video if I need help focusing, and the guide and/or background music are always super helpful to get me to a conscious state of mind. I've also been watching beginner's yoga videos and attempting some new poses in the last few weeks since attending a yoga class with Yves Rocher. Yoga is not only good for the body and soul, but also for your skin since it increases blood circulation and helps eliminate toxins. Since I work from home, I find having a dedicated workspace helps me be more productive. I have an entire video where I show you how my office is set up, and not much has changed since then. In the morning, I will check and reply to emails and go through social media which I manage for my employer as well as work on planning and scheduling content for the weeks to come. I will take small breaks throughout the day to eat and let my eyes rest as I can spend upwards of 14 hours a day in front of a screen when combining both my full-time job and time I spend working on my personal blog, YouTube channel and social media. As an introvert, being able to work from home is probably one of the biggest blessings for me, and I truly feel lucky to have a digital nomad work position in a field that I am passionate about. And now for the giveaway you've been waiting for! One lucky reader of mine will win a 4-step Yves Rocher skincare routine catered to their skin type: combination, oily, acne-prone, sensitive or dry. To enter, simply fill out the Rafflecopter box below. The first few visible entries are mandatory, and more entry options will be unlocked once completed. This giveaway is open to Canadian residents only, age 18+. What do your mornings typically look like? *Disclaimer: This post and giveaway have been sponsored by Yves Rocher. All thoughts and opinions are my own. Some affiliate links are provided. I love that you get stretching and meditation into your morning routine. Me, I hit the computer and don't have any settling into my day. I think I need to rethink my morning. I wish my mornings were as productive as yours! Looks like you have an awesome schedule going! I would say my skin type is fair. I always look for a product that is non oily! I have dry to oily skin - oily in the t zone in the winter but, very dry in summer. I want to ensure that the product is good and does help the situation and that it is not harmful to my pocket book. I need to use these products. My skin could always use the help. It can get rather dry. I have loved Yves Rocher products for years. My mom always used them, so I grew up using them, too! Yves Rocher has been around since I was a kid - that is a long time lol. Nice giveaway thanks for the chance and good luck to all who enter! Thanks for this great giveaway! Woo hoo. I LOVE Yves Rocher products. I'm pretty sure my wife has some stuff in her beautification area with Yves Rocher on the containers. I'll have to show this to her. This is a great giveaway. I have not used any Yves Rocher products for a few years now. I wil have to check them out and order a few new products to try. I need to start meditating in the morning again. My morning....Coffee first (it's a MUST), then I check my emails, shower and get my boys started with their homeschool work. Life around here is pretty busy! My skin is fair and a little dry. I look for moisturizer and SPF is possible. What a great giveaway! Looks like nice products from someone who is so conscious of what they eat and put in their body! Thanks for the idea! Their products ROCK! I have always thought so. I wish I could win! Also, your morning looks so peaceful. Awesome Yves Rocher has been on my wishlist. I try not to over spend on beauty products, but this sounds totally worth a splurge. My mornings depend on what I am doing. And they usually revolve around my job. It's so nice that you can get up and have a nice routine like that. Oh love how you have a video as well! YESSS Imma get ready with you! I love trying out new products. This sounds like a great brand. I would love to win. I loved the collection of the products. To refresh my skin I generally start my day with meditation and exercises also I apply coffee masks on my face in order to make my skin bright. Oh wow how productive are you in the morning! I barely get my head on the right way round before noon! Yves Rocher makes great products. I have been using them for years. I'll have to send my wife over to read up on these tips and enter the giveaway. She's into yoga too. This is a fantastic giveaway. I love trying out new products! Wow I wish I could do all that in a morning. I am sure you feel so refreshed and ready for your day after a morning like that! There isnt many products out there that wouldnt break my skin. But this one had always worked for me. Great give-way. Congrats to whoever will win! I've never actually tried Yves Rocher products before. I've always wanted to though. Looks like you have a great selection of products as well. This is such a fun post! I have used this brand before and it is amazing. I would love to try the Sensitive Vegetal products from Yves Rocher as I have sensitive skin. I also love working out either early in the morning or as soon as the kids are off to school. Once this is done, my head is clearer to get things done. I love trying new skim care lines, helps me get into a new or old and forgotten routine! I have two kids to get off to school, so my mornings are filled with manageable chaos and a lot of coffee. I really should set up a "Me" routine to do after they go to school. My "Me-time" comes after I send my kids to school. I usually go for a walk then come back for more workout. These all photos are great! It is really sounds good and interesting! I never knew the product but is seems awesome and I would like to try it. Yoga makes your skin more glowing. Yoga will helps you to get beautiful skin. It makes your skin more younger. We should need to take time to do at least 15 mints in yoga. 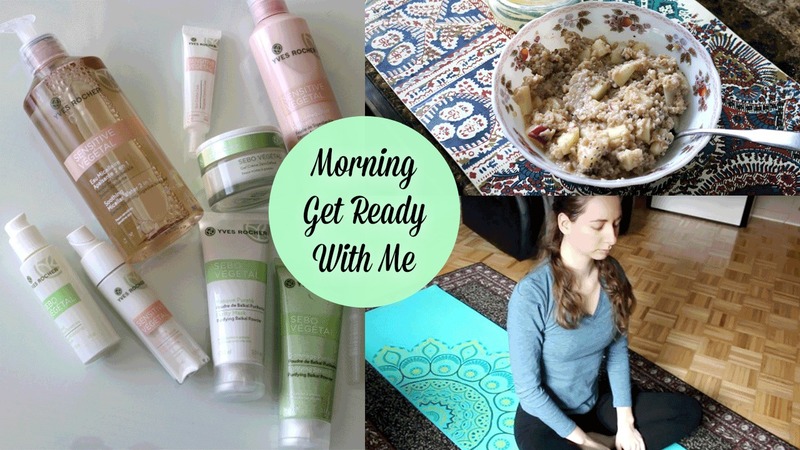 Your mornings seem very productive:) Yves Rocher has been really good to me. Totally agree. That's a fantastic give away. And a great post about your morning routine. With 4 homeschooling kids, my yoga is always done last thing at night, when it's peaceful! Coffee first thing in the morning then I'm good to go. Your morning glory beautifying drink sounds really good. I think I will have to try that. Thanks for sharing your routine. I start my mornings with exercise as well and I think it helps me feel more energized and productive throughout the day. It's important to have a good skin care routine after that too. I am loving these products. I have never tried any of these products before but it would be nice to finally do so. Thanks for hosting this giveaway! This routine sounds like a great way to start your day! I love the idea of exercise in the morning. It can help you to feel more energized for the rest of the day. FABULOUS giveaway. Wow this is awesome! Never heard of these products before but if I win, I would love to try them all! Great giveaway! Great giveaway! I like the mat too. Thank you for sharing this product with me. I have not heard about it and would like to give it a try. What a great giveaway! I used these products many years ago, I have no idea why I stopped. I am going to hope that I win the giveaway so I can start using them again. I love your routine. I'm so NOT a morning person. I really wish I could force myself to be one. What a zen filled morning you have. I think i will have to try some meditation in the morning, sounds very relaxing. Yoga makes your skin glowing. So it is important to do yoga in every morning to stay and younger. It is because women wants to look beautiful in every day. I'm trying to get back into the habit of stretching and PT in the mornings again, but haven't been able to make it stick, yet. 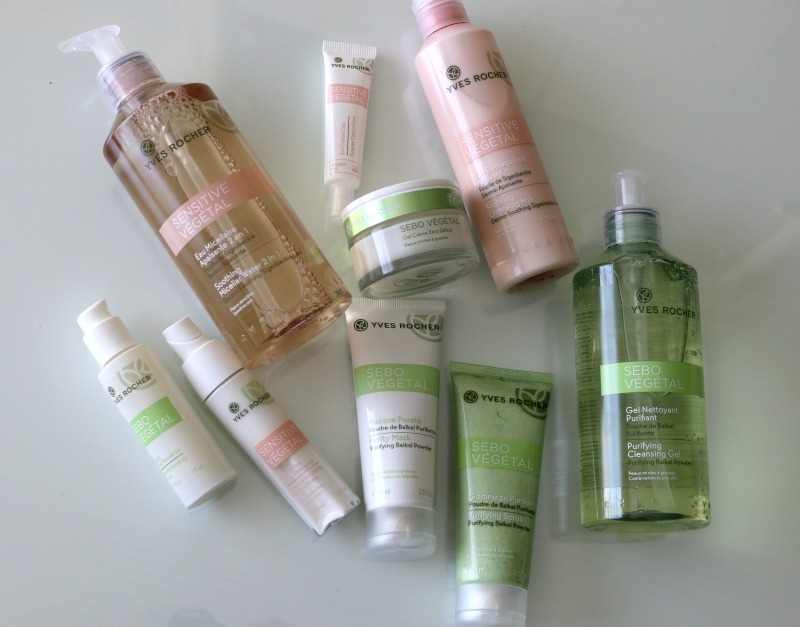 Yves Rocher has some amazing skin care products haven't tried there Vegetal line but I am looking forward to it. Very informative post. In many cultures the concept of human beauty is directly related to the skin condition, because beautiful skin is healthy skin. General condition of human skin depends on the overall state of the organism, living conditions, diet, exercise, hygiene regime, etc.